Benito Mussolini was an Italian political leader who became the fascist dictator of Italy from 1925 to 1945. 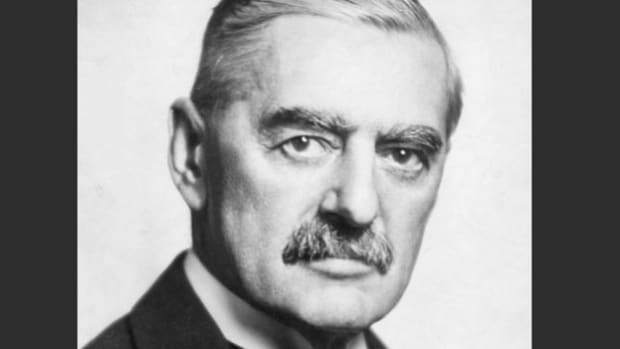 Originally a revolutionary socialist, he forged the paramilitary fascist movement in 1919 and became prime minister in 1922. 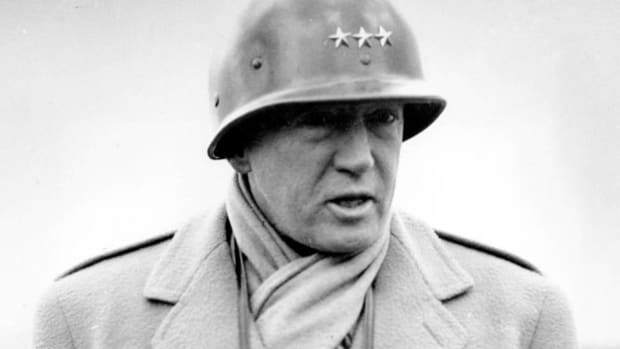 Called “Il Duce” (the Leader) by his countrymen, Mussolini allied himself with Adolf Hitler, relying on the German dictator to prop up his leadership during World War II, but he was killed shortly after the German surrender in Italy in 1945. 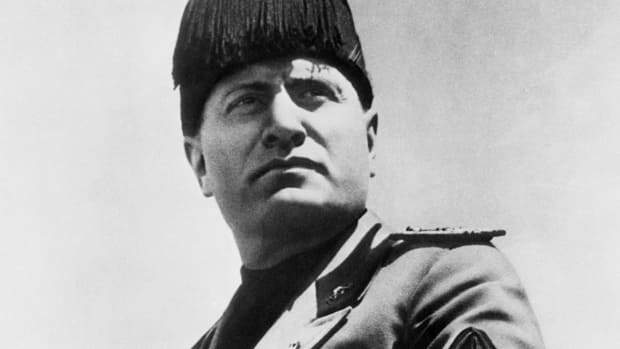 Born on July 29, 1883, in Verano di Costa, Italy, Mussolini was the son of blacksmith and ardent socialist Alessandro Mussolini and a devout Catholic mother, Rosa Maltoni. By most accounts, Mussolini’s family lived in simple, small quarters. Young Mussolini was expelled from his first boarding school at age 10 for stabbing a fellow student. At 14, he stabbed another student but was only suspended. Much of Mussolini’s early adulthood was spent traveling around Switzerland, getting involved with that country’s Socialist Party and clashing with police. In 1909, he moved to Austria-Hungary to become editor of a socialist newspaper, but was deported back to Italy, accused of violating laws meant to regulate press freedom. In 1910, Mussolini became the editor for another socialist newspaper, but soon spent six months in jail for inciting violence. During his incarceration, he began to write his autobiography – while still in his twenties – detailing his troubled school years and his many romantic conquests. Mussolini split from the Socialist Party in 1914. Starting his own newspaper, he encouraged violence from his supporters as unrest spread across the country. Following a stint in the military, Mussolini returned to newspapers and by 1918 called for a dictator to seize control of Italy. Pressure from Mussolini and his followers forced the government to order the internment of foreigners they considered enemies. After the Treaty of Versailles in 1919 – and his dissatisfaction with it – Mussolini gathered the various fascist groups into a national organization called Fasci Italiani di Combattimento. The Italian Fascists courted war veterans and encouraged violence against socialists. Mussolini stockpiled weapons and explosives in his newspaper offices. By the end of the year, Mussolini stood in a general election as the Fascist candidate but lost in a Socialist sweep. 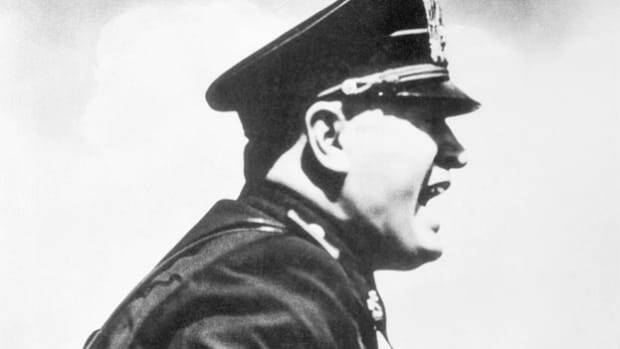 Two days later, Mussolini was arrested for allegedly collecting arms to overthrow the government, but was released without charges the next day. In 1921 the Italian King Victor Emmanuel III dissolved Parliament amidst growing violence and chaos. Elections brought a huge win for the Fascists, with Mussolini taking a seat as a deputy in Parliament. The party changed its name to Partito Nazionale Fascista. In 1922, Fascists were instructed to wear uniforms, including black shirts, when in squads that were modeled after Roman army groups. All party members were considered squad members. Soon after, several Italian cities were seized by Fascist squads, who also burned down Communist and Socialist offices. In October 1922, Mussolini threatened to march on Rome to take control of the government through violent force if it was not handed over. The government was slow to act, eventually dispatching troops, though Fascists had already seized control of some local governments. Refusing to pass martial law, King Victor Emmanuel III watched as thousands of armed Fascists entered Rome. He dissolved the government and asked Mussolini to form a new one. Mussolini became Prime Minister, as well as Minister of the Interior and Minister for Foreign Affairs. Mussolini’s first act as prime minister was to demand special emergency powers allowing him to rig elections in the Fascists’ favor. Soon after, the Italian parliament made suspicion of being anti-Fascist punishable by imprisonment without trial. The next year police rounded-up Socialists, and the government restricted their publishing activities. A Socialist deputy plotted to assassinate Mussolini, but the betrayal of a friend led to his arrest just before the attempt. Several other assassination attempts followed. 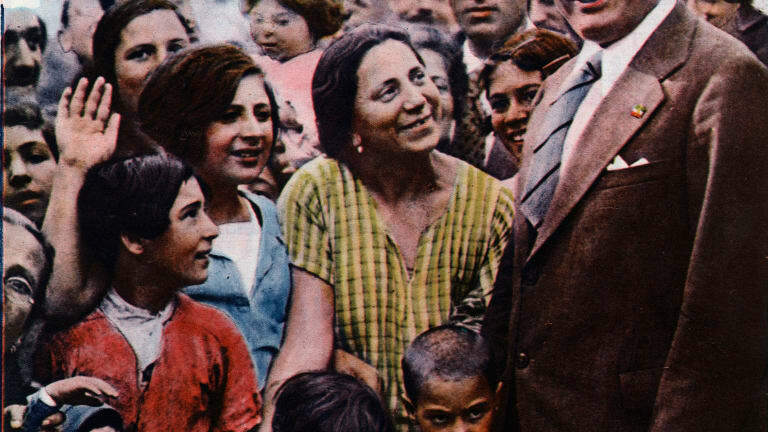 In 1926, Fascists created a youth group called the Opera Nazionale Balilla, pressuring children to join. The Catholic Boy Scouts were dissolved and the formation of other youth groups became illegal. The same year, all Communist members of Parliament were arrested, and all Socialist members expelled. Anyone who could not be prosecuted for a crime was detained for up to five years and placed in island internment camps. Cinemas were required to screen government propaganda in the form of newsreels. Fascists owned 66 percent of the newspapers and controlled reporting, issuing daily editorial guidelines and threatening editors with arrest. The Order of Journalists was created and membership was mandatory. Newspapers were allowed to criticize the government as long as they generally expressed support. At first, Mussolini disapproved of Germany’s Adolf Hitler, but over time their partnership grew and Mussolini embraced anti-Semitic measures. Following Italy’s 1935 invasion of Ethiopia, Germany was the second country to recognize Italy’s legitimacy there. Both Hitler and Mussolini sided with Francisco Franco in the Spanish Civil War in 1936, with Mussolini providing 50,000 troops. In 1937, Italy left the League of Nations in solidarity with Germany. In March of 1938, Hitler invaded Austria with Mussolini’s support. By October, the two countries had officially joined together as the Rome-Berlin Axis. Mussolini wrote an article in 1938 that aligned Italians with the German concept of the Aryan race. When anti-Jewish laws began to appear in Italy, Germany felt they were weak, but Mussolini was prepared to increase their severity as needed. Soon after, Mussolini called for the expulsion of foreign Jews from Italy. Hitler’s invasion of Poland in 1939 immediately caused Britain and France to declare war against Germany, but Mussolini, for the moment, remained neutral. Germany’s invasion of Denmark and Norway convinced Mussolini that Hitler would win the war. Soon Holland and Belgium also fell to Hitler. As the Germans plowed through France in June 1939, Mussolini announced Italy’s entrance into the war. By 1943, after years of fighting in World War II, Italy was viewed by its own citizens as losing the war. While making a round of visits, Mussolini was detained and informed that the King had appointed a new prime minister. Mussolini was arrested and sent to the island of La Maddalena. 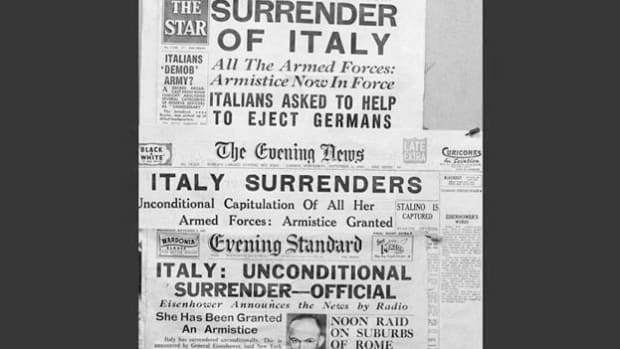 When Italy accepted the terms of secret peace talks with the Allies, Hitler ordered German forces into Italy, which resulted in two Italian nations, one occupied by Germans. Mussolini, fearful of being handed over, was instead rescued by Hitler’s forces. Transported to German-occupied northern Italy, he was installed as Hitler’s puppet leader, creating the Italian Social Republic and leading to the extermination of thousands of Italian Jews. Allied forces barreled through Italy in June 1945. Mussolini attempted to flee to Spain with his lover, Claretta Petacci, but was discovered and arrested by partisans searching troop transport trucks. 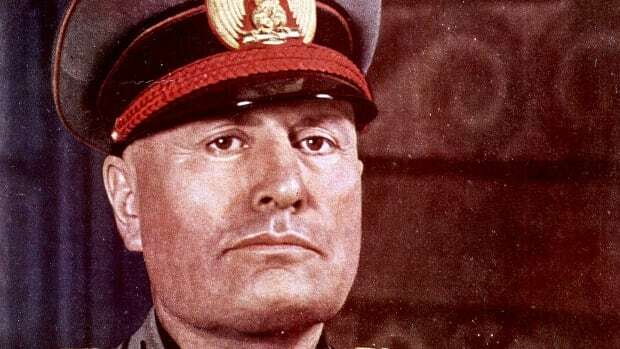 There are conflicting stories about how Mussolini died, but autopsy reports state the dictator was shot by soldiers firing several bullets – with four of them near the heart – causing immediate death. The bodies of both Mussolini and Petacci were hung upside down at the Piazzale Loreto in Milan and displayed for crowds kick and spit on. One day later, Hitler committed suicide and the following week, Germany surrendered. Mussolini’s body was buried in an unmarked grave, which was unearthed in 1946 by Fascist supporters, who took the body to a convent in Lombardy. The government recovered it and interred it in a monastery near Milan. Mussolini’s wife petitioned to have the body moved from a grave in Milan to a family mausoleum in Predappio in 1957. In 1966, she was given an envelope containing a piece of her husband’s brain. The American diplomat who handed it to her claimed that the Americans had taken the brain in order to study what makes a dictator. She had the relic placed in his tomb, which receives 100,000 visitors a year. Mussolini: The Last 600 Days of Il Duce. Ray Moseley.